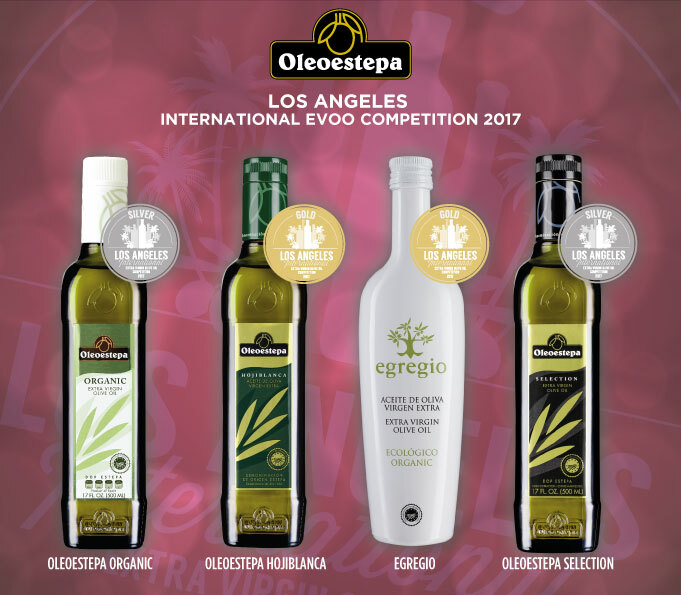 For the fourth consecutive year, Oleoestepa is recognized as a leader in the production of high quality extra-virgin olive oil at the international awards at the Los Angeles EVOO Competition, the most prestigious contest in the North American market. In this year’s event, four awards were won. Oleoestepa Hojiblanca and Egregio Organic won gold medals while the products Oleoestepa Organic and Oleoestepa Select received silver medals for quality. These awards serve to strengthen the position of all of these extra-virgins oils as high quality olive oils, as they are commercialized in the North American markets. Los Angeles EVOO Competition is the benchmark international awards for the American and Canadian markets. In total, 600 different oils from 369 producers over both hemispheres have participated (Argentina, Chile, Uruguay, Australia, South Africa, Spain, Italy, Portugal, Greece, etc. ).